The last several decades have seen an explosion of science and technology across all walks of life, and medicine is no exception. Improvements in engineering, optics, laser technology, pharmacology, and molecular biology have radically changed how we take care of patients on a daily basis. The development of the “Targeted Therapies” for advanced renal cell carcinoma (RCC) is just an one example of how discoveries in the basic biology of a disease have contributed to the development of novel therapeutics, thus markedly altering the standard of care for this disease. 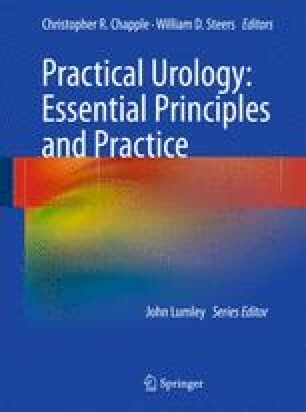 The field of urology has traditionally been at the forefront of these discoveries, as evidenced by the Nobel Prize winning work of Huggins and Hodges during the last century. As we move through the twenty-first century, a fundamental understanding of molecular biology will be increasingly important to understand the basis for the therapies we prescribe. The purpose of this chapter is to introduce the practicing urologist to the basics of molecular biology and its relevance to our field.